If we were to divide the global surface of arable land by the number of people on the planet, we would each get 2000m² (half an acre). For more than 3 years we have been growing the Global Field in Berlin. 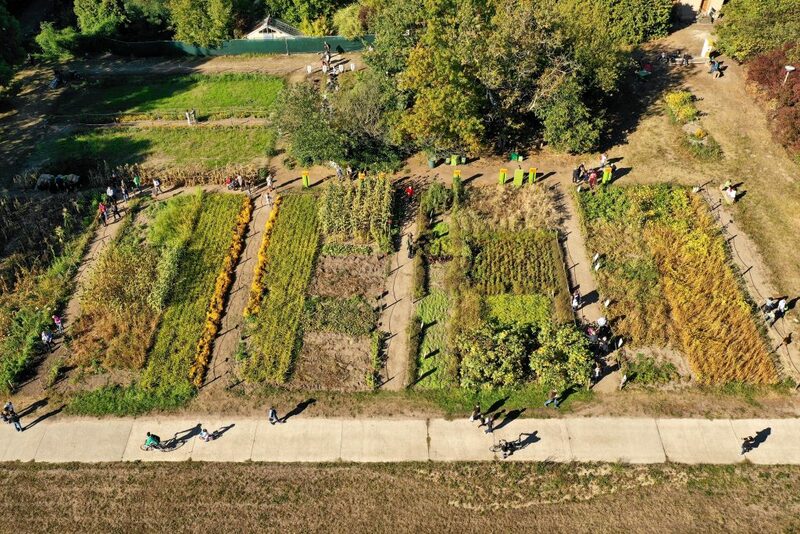 On 2000m² we are planting a representation of the global situation of arable land. In 2017, our 2000m² field was part of the International Garden Exhibition (IGA) and the IGA-Campus for young people and children. Plenty of visitors, school classes and gardeners from all over the world came to see our field. Since 2018 you can find us in the Botanischer Volkspark Blankenfelde-Pankow. We would be delighted if you came to visit us! Weltacker Blog: Süßer Zuckersaft ! Weltacker Blog: die treue Tomate! Ackertalk: Wie wird Schokolade fair?